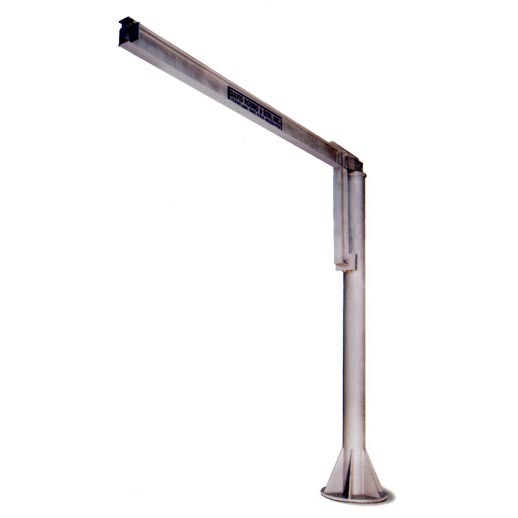 The David Round Company provides stainless steel jib cranes perfect for cleanroom environments, including standard and custom engineered jib cranes. 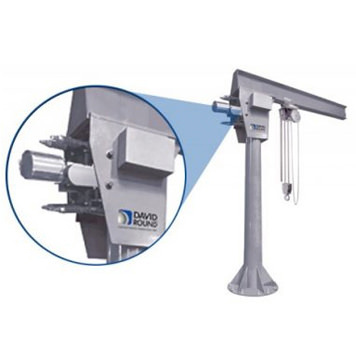 In addition, David Round offers jib crane motorization kits. Standard jib cranes have load capacities up to 2 tons. Custom engineered jib cranes are built to fit your unusual or nonstandard applications. Our jib cranes feature high capacity and long reach capabilities. 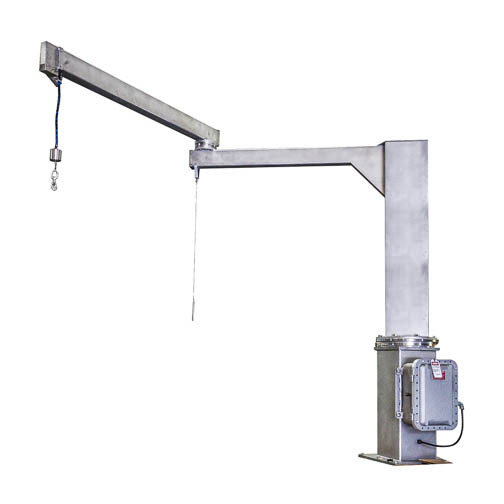 Jib crane motorization kits (including Roto-Mate™ and Roto-Max™) fit nearly all free standing or wall-mounted jib cranes and are available on new cranes or as retrofit packages. The Roto-Mate™ powers jib cranes with loads from 1-3 tons and the Roto-Max™ powers jib cranes with loads from 4-8 tons.